Blizzard has once again announced that fans of the Diablo series will have to wait even longer to get their hands on the pending title. 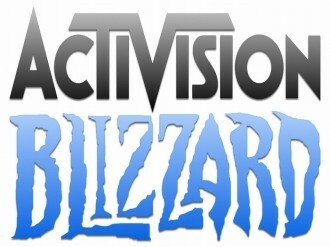 During a conference call to discuss the company’s fourth quarter financial results, Blizzard CEO Mike Morhaime said that the game will be released during the second quarter of 2012, or sometime between April and June, with plans to announce more specific details about the release schedule in the coming weeks. In other news from the call, Activision CEO Bobby Kotick announced that there will be yet another ‘Call of Duty’ game dropping later this year. Modern Warfare 3 became the biggest entertainment launch of all time and the best-selling game ever in a single year. There’s also a new version of Call of Duty Elite in the works although he didn’t elaborate on any details. World of Warcraft ended 2011 with approximately 10.2 million subscribers and more than 1 million players have signed up for the World of Warcraft Annual Pass. Those who sign up for the Annual Pass will get Diablo III for free when it’s released, an exclusive WoW Tyrael’s Charger mount and guaranteed beta entry into the next WoW expansion pack. Speaking of the expansion pack, Mists of Pandaria is nearing beta status and gamers can expect to learn more about the update on March 19. The new expansion pack for StarCraft II, Heart of the Swarm, is a work in progress and we can expect more news on this front in the coming months.